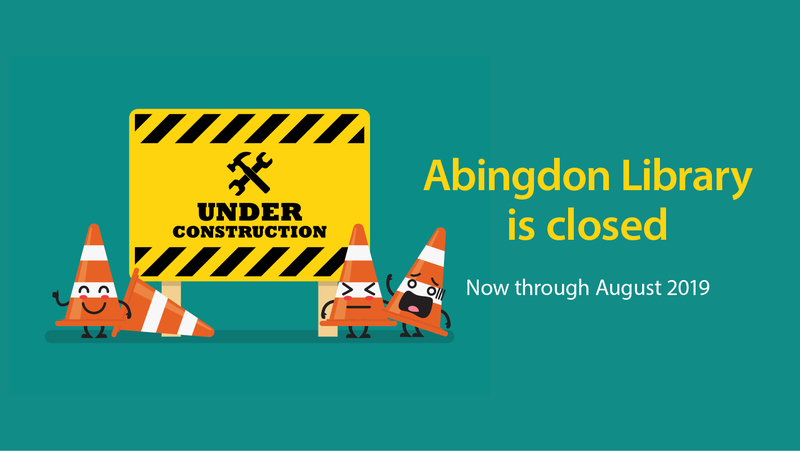 The Abingdon Library is currently closed through August 2019 for a construction project. The branch windows and portions of the roof will be demolished and replaced. Abingdon customers are encouraged to visit any of the other 10 branches during this time. All items placed on reserve (holds) for Abingdon customers that come in during the time the Abingdon Library is closed, will be sent to the Bel Air Library. Customers will be notified by their usual manner and may pick up the item at the Bel Air Library or request the item to be sent to another location. Updates will be posted here as information becomes available. We apologize for any inconvenience resulting from the closure and many thanks of appreciation to our customers for their patience and understanding during the duration of the project.